The barque Khyber was a triple mast iron cargo ship of 2026 tons, built by WH Potter and Son, Liverpool. She Belonged to the Galgate Shipping Company also of Liverpool. The Khyber left Melbourne, Australia, in October 1904 heading for Falmouth, England, with a cargo of wheat. She had a crew of 26 and was captained by Henry Rothery. My great grandfather John Willis was a 16 year old apprentice. On Tuesday14th March 1905 the Khyber was sighted passing Wolf Rock lighthouse, 8 miles off Lands End in Cornwall, on a heading to cross Mounts Bay towards the Lizard. The winds where strong and the seas very rough. During the afternoon of the 14th the winds turned to a raging south westerly gale and at 8.30pm the Khyber's sails were severely damaged and the vessel had become unmanageable. 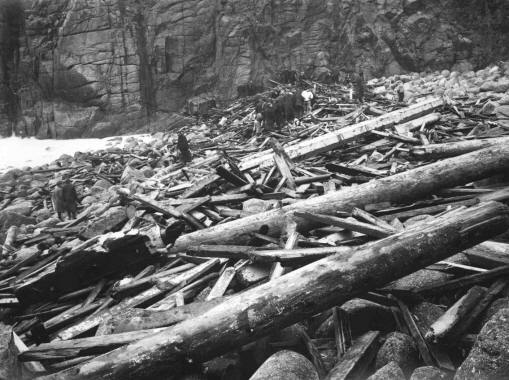 She then started to drift towards the shore despite the desperate efforts made by the crew to prevent this. Their plight was a pitiable one as their lifeboats had been washed away and their signals of distress went unseen. 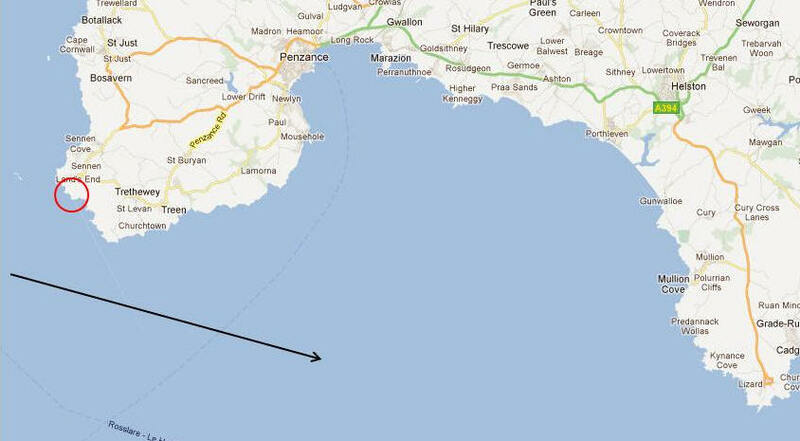 By 10pm the Khyber was about about four hundred yards from Porthgwarra having drifted right across Mounts Bay and both anchors were dropped. They did their job nobly and despite the terrible gale held firm until about seven o'clock the next morning when they started to drag. 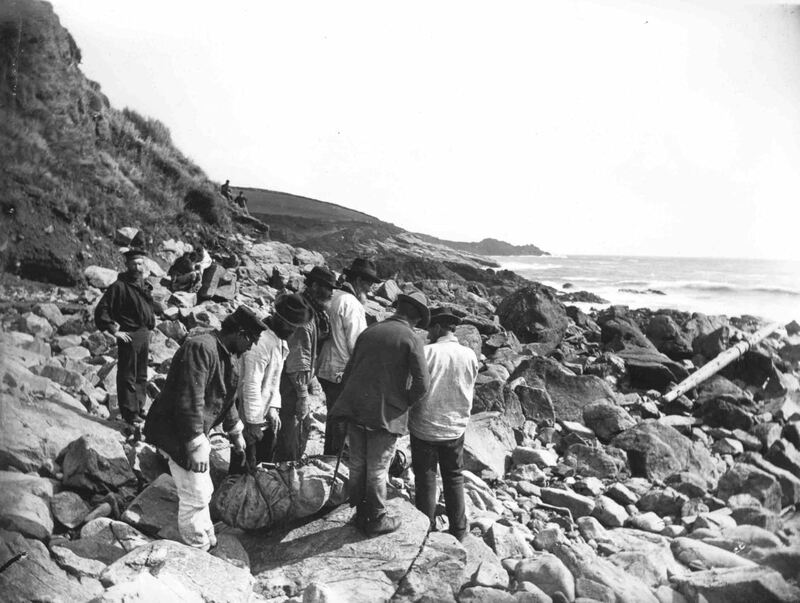 She was spotted, almost ashore, by a man proceeding to work at new coastguard houses being constructed at a site near Porthloe cove. 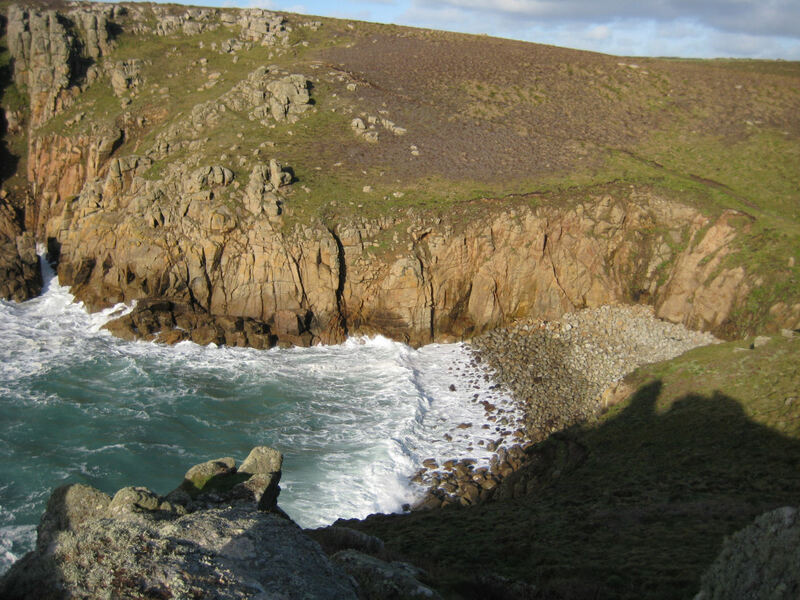 The workman ran to Porthgwarra to summon help from the residents. By the time they arrived at the scene the sailing boats anchor cables had snapped and she had been driven stern first on to the rocks and within fifteen minutes had been completely broken up. 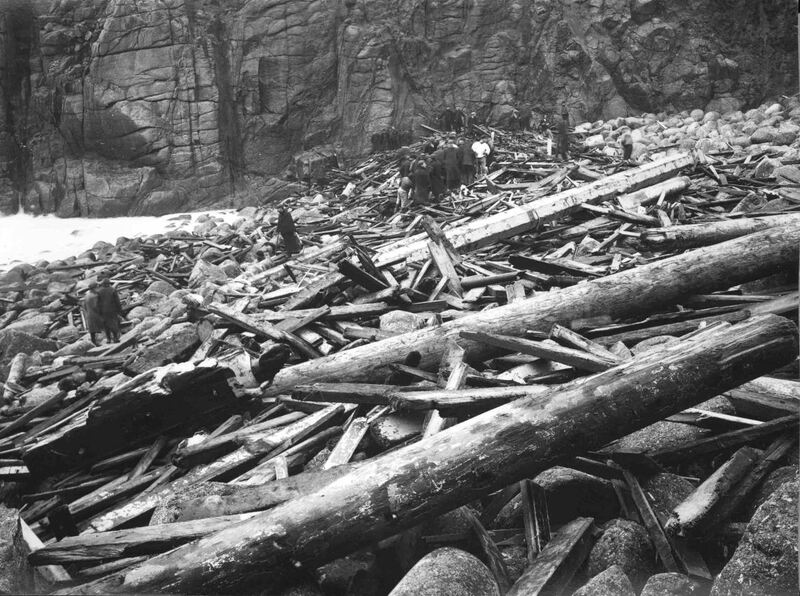 The terrific violence of the waves can be judged from the pile of wreckage reduced to matchwood on the beach, this and a perfect field of floating grain were all that remained. Communications where very limited in 1905, a Mr Williams of Roskestal farm rode his horse to Sennen to alert the lifeboat crew but they were unable to launch because the sea had thrown boulders onto the launch slipway. The Penzance lifeboat 'Elizabeth and Blanche' was also summoned. She was a pulling (rowing) and sailing lifeboat and was towed to Gwennap Head by the steamer The Lady of the Isles as the storm was too great for the crew to make headway by rowing. However they still arrived to late to be of assistance after a very brave attempt. 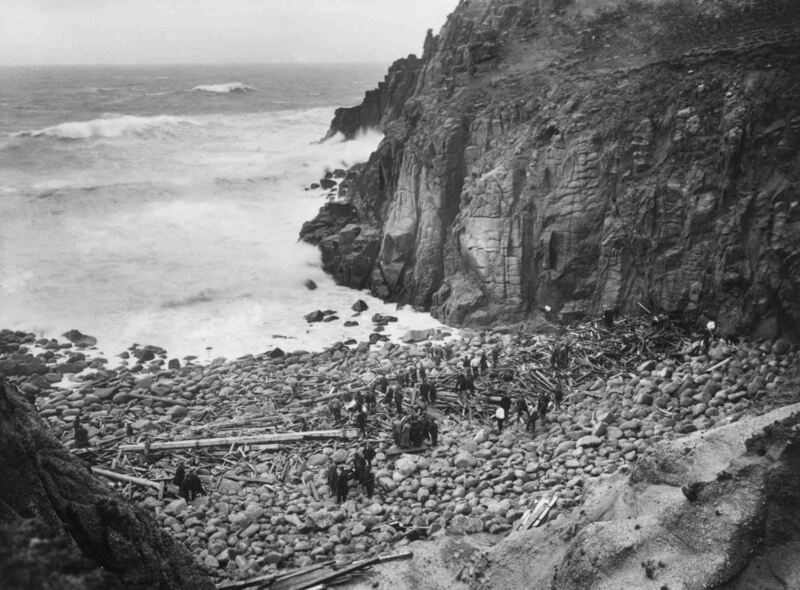 Porthloe cove near Lands End after the wreck.